Pleasant Valley Upsets Stroudsburg in the MVC Playoffs! Pleasant Valley struck first. It was the third inning and Matt Pierce reached first on a single. Then he reached second base on a wild pitch. Brendan Kearns came to the plate and laid down a beautiful sacrifice bunt, which moved Pierce to third. Then, on another wild pitch, Pierce scored the first run of the game! 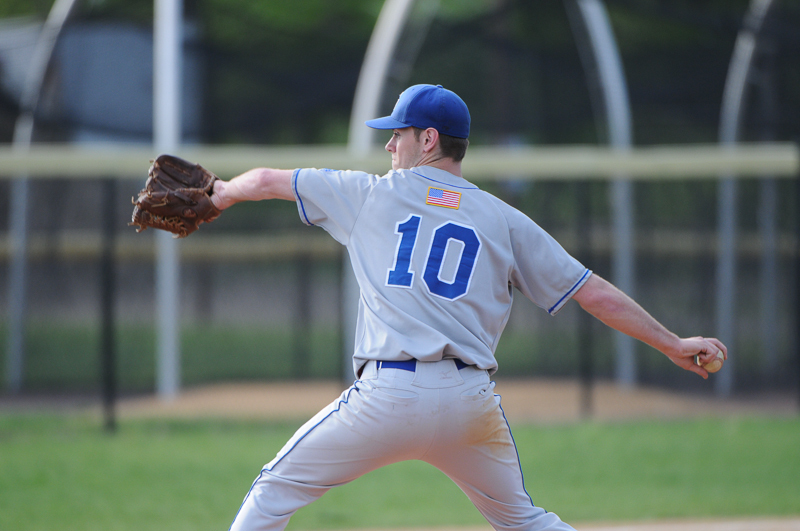 Chris Burke pitched a masterful game for PV. 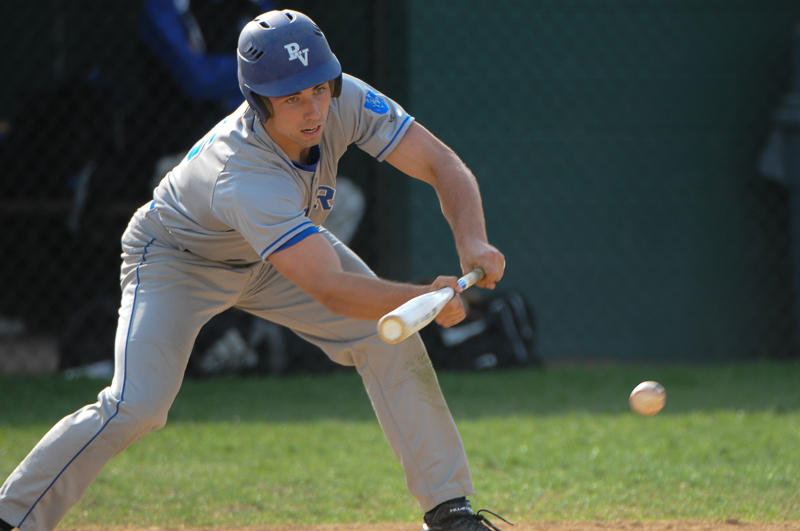 He only gave up four intentional walks, all to Mike Nikorak, the MVC Most Valuable Player. The Bears defense was solid behind Burke and he kept recording outs in a very efficiently pitched game. 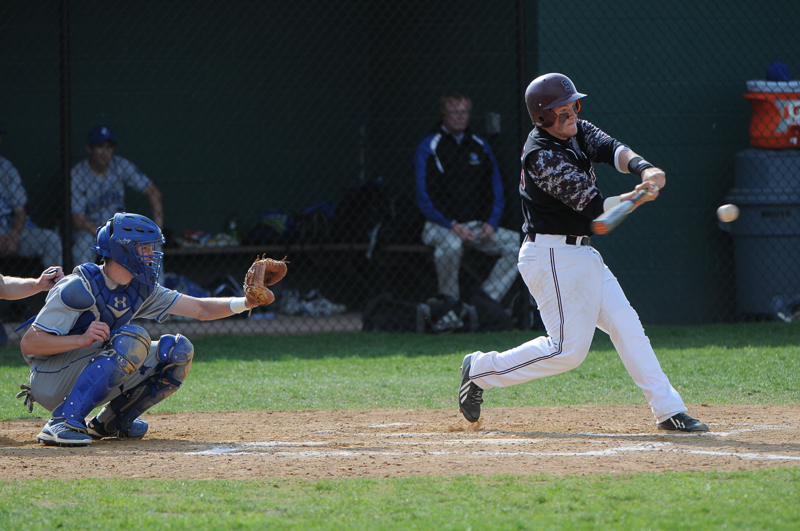 Stroudsburg kept trying to apply pressure, but they kept hitting ground balls or flies to the outfielders. They had a few base runners but could not bring more than one around to score. 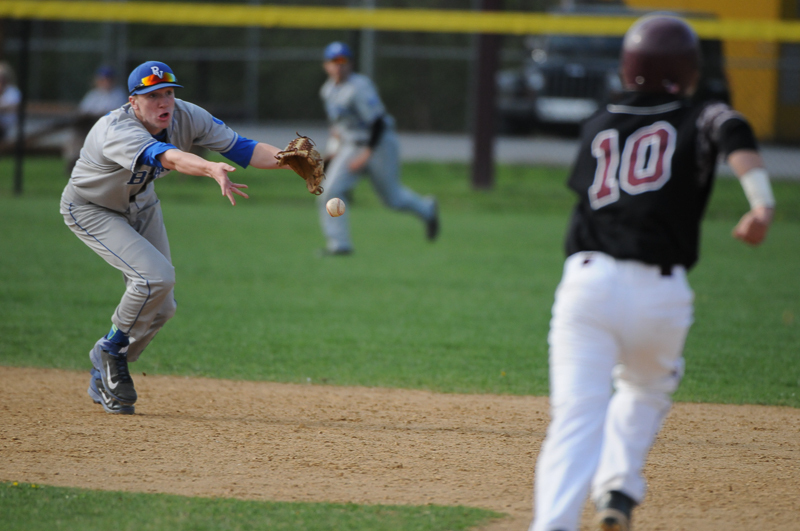 In the bottom of the fourth inning a hard ground ball was hit to PV’s shortstop, Travis Van Houten. He fielded the ball cleanly, threw to Adam Raseley at second base, who then pivoted and threw to Ariel Mejia at first base for a beautiful double play! 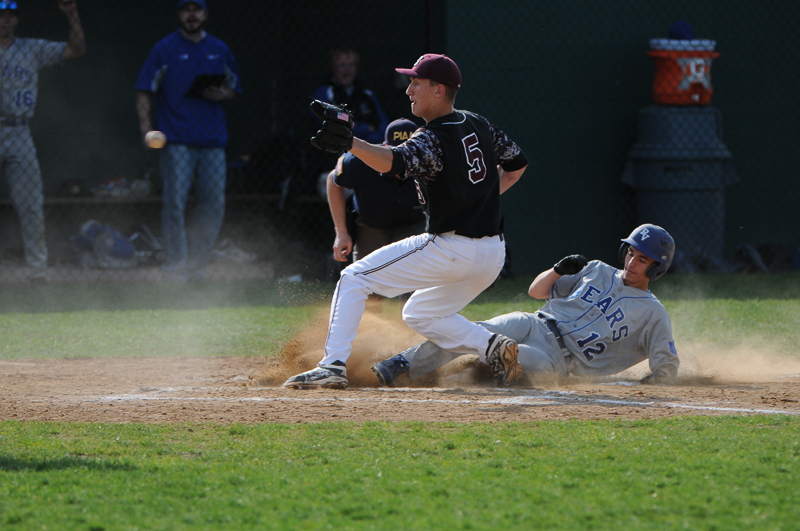 The Bears tacked on two more runs in the top of the seventh inning. The last of these insurance runs came when the #4 batter, James Shank, executed a great bunt in a well-coached two-out squeeze play. There wasn’t even a play at the plate! 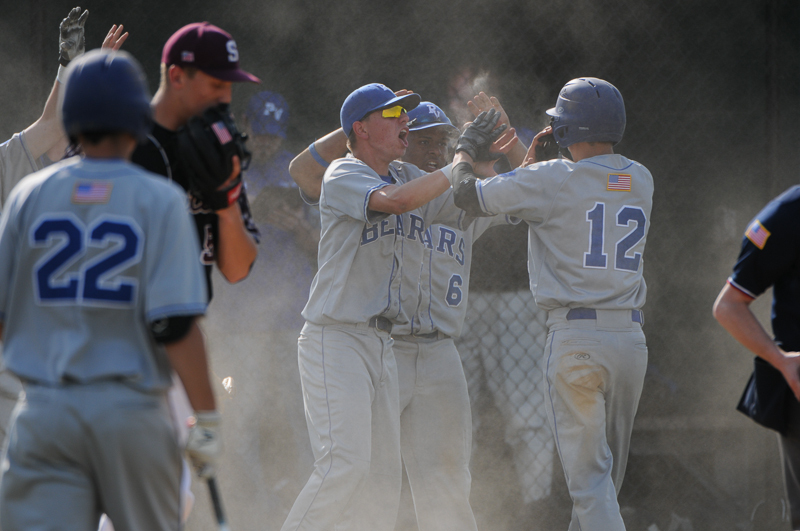 Congratulations to the Pleasant Valley Bears Baseball team in their MVC Playoff victory over Stroudsburg 4-1! It was a great game!